2016 has been an interesting year, even the complicated world of Smarthome tech has been easier to follow than the politics. Before we start, here’s a special mention for Paul Gale’s guest post on using a Raspberry Pi to integrate SmartThings and Homebridge for Apple HomeKit and Siri control of a Christmas lighting and media setup. Also a shout out to Mark Boyle for his excellent Devolo Home Control Review series (look out for the concluding part in the next few weeks). So what’s most interest you over the last 12 month on Automated Home? Well at number 20, the new Elgato Eve system finally brought HomeKit hardware to UK users. Z-Wave is still your favourite smart home technology by far with at least 8 posts in the top 20. Zigbee gets a shout too with our interview back in March. The highly regarded Loxone system again proved popular with many articles in the top 100 and especially their new ‘Tree’ tech aimed at reducing smart home wiring at number 17. Smart doorbells were on your mind in 2016 with UK startup Ding and Ring from the US both in the top 20. Fibaro’s gesture controller Swipe made it to number 16 and Zipato’s new wall mounted wonder tablet caused a stir at number 8. 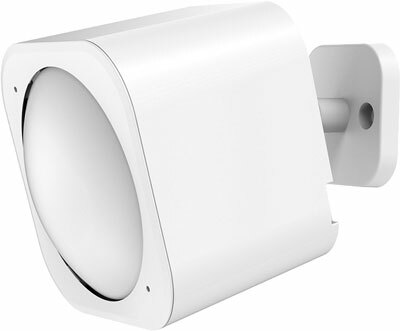 Aeon Labs made it into the top 20 twice with their excellent Z-Wave hardware. Our 5th most popular post was on the trails and tribulations of Z-Wave compatibility and it stuck a chord with many of you as we all look towards a future where interoperability (even within a single standard) is much better. Ian Gardner’s Domoticz powered smart home was our most popular ‘My Automated Home’ feature this year and other names to make it to the top included Sonos, Vera, Remotec and Home Assistant. At number two is SmartTiles, an impressive software add-on for the Samsung SmartThings system. It provides a brilliantly simple yet powerful interface to your home automation system. But this years number one by a landslide was our review of the brilliant new Sky Q DVR. And we agree with that, it’s definitely the been the best single upgrade to TV watching since we move into the Automated Home. 2016 was the year we went Solar as well as the year we made a big change to our transport. 2017 looks set to be the year of smart home voice control and we look forward to seeing the developments ahead. 19. 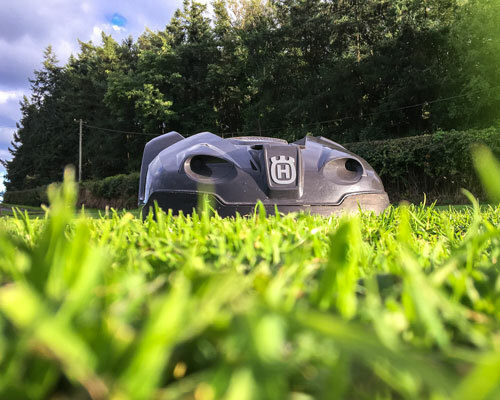 Husqvarna Automower Review Part 6 – Stolen? Be the first to comment on "Top 20 Automated Home Posts of the Year 2016"